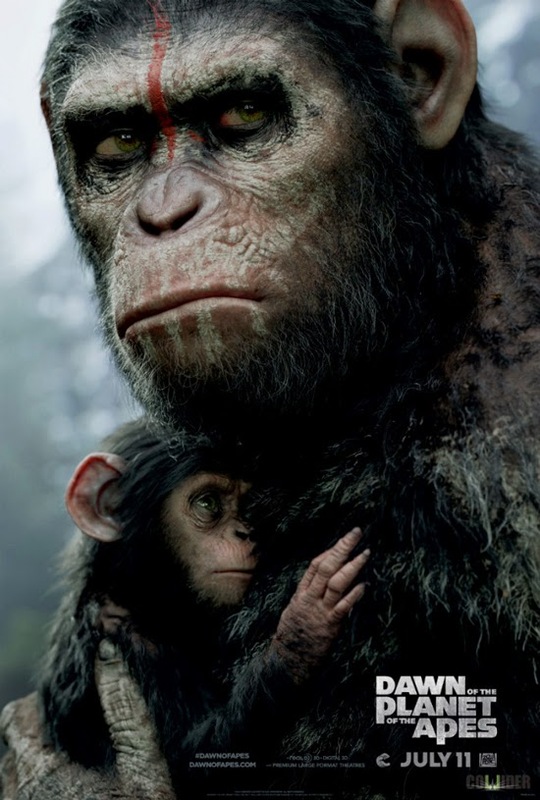 20th Century Fox Release Awesome TV Spot & New Poster for 'DAWN OF THE PLANET OF THE APES'! 20th Century Fox have released a new poster & first TV spot for Matt Reeves' Dawn of the Planet of the Apes. Andy Serkis reprises his role as Caesar in the sequel which is hits theatres this July 11th. The sequel also stars Jason Clarke, Gary Oldman, Toby Kebbell, Keri Russell, Kodi Smit-McPhee, Enrique Murciano, Kirk Acevedo, Jocko Sims, & Judy Greer. Rise of the Planet of the Apes opened during the summer of 2011, grossing nearly half a billion dollars worldwide. Hit the jump for the details. Synopsis: "Dawn of the Planet of the Apes’ is as follows: A growing nation of genetically evolved apes led by Caesar is threatened by a band of human survivors of the devastating virus unleashed a decade earlier. They reach a fragile peace, but it proves short-lived, as both sides are brought to the brink of a war that will determine who will emerge as Earth’s dominant species." I'm reading: 20th Century Fox Release Awesome TV Spot & New Poster for 'DAWN OF THE PLANET OF THE APES'!Tweet this!